We’re getting ready for this month’s solar eclipse and thought we’d share this historic footage from the WGBH vault! In July 1991, NOVA recorded the particularly long six and a half minute total solar eclipse atop the dormant volcano Mauna Kea, the location of a major astronomical observatory in Hawaiʻi. The footage, originally shot on 16mm film, was featured in NOVA’s 1991 documentary Eclipse of the Century and has been digitized and preserved by the WGBH Media Library and Archives. On March 11, 2013, WGBH Media Library and Archives’ Archives Manager Keith Luf and Digital Archives Manager Michael Muraszko loaded 7,010 tapes from the WGBH vault onto 12 palettes, which were then shipped via an 18-wheeler to be digitized at Crawford Media Services in Atlanta, Georgia for the American Archive of Public Broadcasting. Only a few months later would the WGBH MLA in collaboration with the Library of Congress be selected as the permanent home for the American Archive collection, an initiative to identify, preserve, and make accessible as much as possible the historic record of public media in America. WGBH’s tapes were stored in 306 archives boxes, totaling 459 linear feet (longer than 1 1/2 football fields!) and comprising more than 6,400 hours of content. In many cases, the archives staff knew only the program title of the tapes — they often knew nothing about the recorded participants. The content dated back as early as March of 1947 and was as recent as 2005. The MLA sent material on 15 different video and audio tape formats, the majority of which had exceeded the manufacturer’s intended lifespan. MLA’s Keith Luf compared the situation to a child’s 18 year old cat, which everyone knew wouldn’t — and couldn’t — be around much longer. In June of this year, WGBH’s 6,400 hundred hours of content was returned. In addition to the original 7,010 tapes, the content was delivered as digital files on a second copy — on 17 LTO-6 tapes…. stored in one box! From 7,010 tapes to 17! As additional funding has become available, the MLA has recently coordinated with Crawford on the digitization of 800 more hours of 3/4″ videotapes and 1/4″ audiotapes, which will be shipped out next week. Who knows what we’ll find next!? If interested, please apply at http://www.wgbh.org/about/employmentOpportunities.cfm and reference Job Requisition # P-0783. WGBH is looking for a creative and energetic Senior Developer to lead the development of a digital asset management (DAM) preservation system for the WGBH Media Library and Archives. The Senior Developer will play a leading role in designing and implementing the architecture, workflows, and applications for WGBH MLA digital library services. The system will be based on the Hydra Project technology stack, which includes Ruby on Rails, Blacklight, Apache Solr, and the Fedora Commons repository. In addition, the Senior Developer will work on web based projects for the Media Library and Archives, including the implementation of a website to give scholars and researchers access to material in the WGBH Archive. Working closely with the Media Library and Archive’s Director, Project Manager, and a WGBH Interactive Designer, the Senior Developer will specify, document and develop the technical architecture of a prototype digital asset management system for digital preservation. They will develop user interfaces to the system. They will also continue to develop the Open Vault website: http://openvault.wgbh.org. Gather requirements and develop specifications for the digital library architecture; work closely with digital object creators and managers to understand their needs. Working with open-source applications and toolkits, design and implement a multi-purpose repository infrastructure that supports the ingestion, preservation, and delivery of digital objects. Test, evaluate, and recommend potential toolkits and applications for inclusion in the repository architecture. Design and implement workflows to extract, transform and repurpose metadata and digital objects as needed. Customize open source applications to provide front-end interfaces to the repository for end-user delivery. Maintain digital library architecture, troubleshooting issues whenever they arise. Keep abreast of community-wide developments in the realm of digital library software and infrastructure. Contribute to the development of Open Source applications. Please note that this position has the possibility of being extended based upon funding levels. Responsible for maintaining a working environment that leverages the potential and diversity of the department’s entire staff. Provide direction and leadership in such a way as to nurture, create and maintain an environment that is (1) free from discrimination, intolerance and harassment and (2) provides employees with equal access to opportunities for growth and advancement including professional development whenever possible. Has experience implementing digital archives, using repository software such as DSpace or Fedora Commons. Has some experience with Blacklight, Hydra, Ruby on Rails and/or Solr. Has worked with web services such as REST, SOAP and/or XML-RPC. Is familiar with one or more RDMS, such as MySQL. Experience integrating with, or extracting data from, FileMaker Pro will also be helpful. Is familiar with online media workflows (from post-production to compression to distribution). WGBH is a Mac shop, with LAMP servers. Candidates should be prepared to share and discuss code samples. To perform the required duties, the Senior Developer must possess the skills and qualities required to complete a Bachelor’s Degree in Computer Science, and more than 3 years of work experience developing web applications. Demonstrated interest in library or moving images archive issues preferred. WGBH produces the best and most well known television, radio and online programs for public media. The WGBH Media Library and Archives preserves and helps re-purpose WGBH creations into the future. The MLA establishes the policies and procedures for the access, acquisition, intellectual control, and preservation of WGBH’s physical media and digital production and administrative assets. The MLA also offers production organization of archival materials from projects start up to shut down, research services, rights clearances, and licenses WGBH stock footage. This is a full-time, on-site position with benefits, starting as soon as possible. It is funded for 12 months, with the possibility of renewal after that. Moderate travel may be required. We work hard, but believe in work/life balance. This weekend we lost a giant of Boston and Massachusetts history, Mayor Kevin White. White served as mayor of Boston for 16 years and saw the city through immense growth and renewal. He also governed the city through a period of great racial turmoil during the 1960s and 70s, culminating in the controversial desegregation of the Boston City Schools through busing in 1974. In the WGBH Archives, we have many video and audio recordings of White during his time as Mayor, but a few stand out as examples of his leadership style in times of tension. Last year, on the anniversary of the event Elizabeth Deane posted a piece about White’s work with soul singer James Brown and with WGBH to broadcast the performer’s concert live the night after Dr. Martin Luther King was assassinated. In this video from that night, Mayor White, humorously dubbed “a swinging cat” by James Brown, pays tribute to Dr. King, “one of the greatest Americans” and asked the audience to help him “make Dr. King’s dream a reality in Boston.” This pivotal moment quite possibly saved the city from the riots and violence that plagued other cities in response to Dr. King’s death. A second pivotal moment in White’s tenure as mayor came in 1974 when the U.S. District Court ruled that Boston’s schools were racially segregated and discriminatory and ordered the implementation of a controversial busing program to desegregate the system. The Boston School Committee, led by Louise Day Hicks, actively resisted the court ordered program and many white neighborhoods protested against their children being bussed across the city to integrate predominantly black schools, and against black children being bussed into their neighborhoods. Many parents, particularly in the neighborhood of South Boston, kept their children out of school in defiance. In this clip, Mayor White answers questions from the press regarding violent flare-ups and the timetable for the busing program. A year later, having experienced the tumultuous and sometimes violent first year of desegregation through busing, he addressed the city and appealed to the community to act responsibly, and with restraint, to allow children to enter the schools safely as they opened in September of 1975. Mayor White’s passion for redevelopment and his strong vision for the future of the city also left their mark on Boston, particularly in the growth of the downtown area and the eventual submergence of the central artery highway underground. Even thought the legacy of the desegregation crisis as a whole is still unsettled, White’s leadership as a peacekeeper and the voice of reason helped to maneuver the city through extremely tense times of anger and controversy. This week libraries and archives nationwide celebrate Preservation Week, highlighting the great conservation, preservation and migration work that is necessary to keep our cultural heritage materials alive and accessible for our users. This project focused on the Vietnam: A Television History collection from which we reconstructed and transferred over 360 hours of film recordings. The 360 hours represent original footage filmed in Vietnam shortly after the war, stock footage gathered for the series, and 270 unique interviews conducted by the filmmakers. The reconstructed interviews include soldiers on both sides of the conflict, as well as leaders such as former Secretary of State Henry Kissinger, Vietnamese premier Pham Van Dong, and recently deceased “first lady” Madame Nhu. The entire collection is accessible on Open Vault at http://openvault.wgbh.org/catalog/org.wgbh.mla:Vietnam. This project focused on cataloging, transferring and digitizing materials related to the Civil Rights Movement. Highlights from this collection include original broadcasts from Mississippi Freedom Summer, 1964 and interviews with Malcolm X, James Baldwin and Martin Luther King, Jr. All told, we preserved over 41 hours of television material and 109 hours of radio for this project. Rights permitting, we are working to make these newly preserved materials accessible. As part of the Educational Radio Network, WGBH broadcast over 15 hours of live coverage of the 1963 March on Washington for Jobs and Freedom in Washington, D.C. This collection includes not only Martin Luther King’s famous “I have a dream” speech, but also interviews with marchers, commentary by journalists, and recordings of musical performances heard that day. This material was preserved from 1/4″ audio tape to digital audio files. 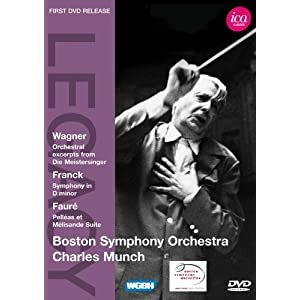 40 original 2” videotape broadcast masters, spanning the years 1957-1980, were reformatted and preserved as an initial step toward commercially releasing DVDs of legacy full-length Boston Symphony Orchestra concerts featuring conductor Charles Munch. As part of a celebration of the anniversary of the Boston Pops Orchestra, a televised retrospective of the program Evening at Pops incorporated material from 6 newly preserved 2” videotape broadcast masters. These tapes, unseen since their initial broadcast in the 1970s, included performances by Marion Anderson, Roberta Flack, Glen Campbell, and one of the first ever concerts to utilize Moog musical synthesizers. Collection gems such as Dancing Disco (1979), James Brown in Concert (1968), and Zoom (1972) were transferred from obsolete formats and digitized for this project and then, through the great work of WGBH Radio and Producer Elizabeth Deane, re-purposed into interstitial messaging for our radio stations! In addition, here at WGBH, we regularly ingest born digital and digitized materials into our Digital Asset Management system which stores and replicates the files across several systems. In this way we have multiple copies available, should one file be corrupted or lost. In the past year alone we have ingested into the system over 4000 video files, 7000 electronic documents, 600 audio files, and over 32,000 images. We expect these numbers to increase greatly in the coming years as current productions like FRONTLINE, Antiques Roadshow, The Callie Crossley Show, Greater Boston, and Teachers’ Domain continue to deliver their production archives digitally, and as other productions move to a “tapeless” digital workflow. Finally, a 1978 Say Brother segment “The Art of Black Dance and Music perform dances from the harvest festival Kwanzaa” demonstrates the artistic expression of Kwanzaa. You may be also interested in this 2003 Interview with Maulana Ron Karenga on NPR’s Tavis Smiley Show. Nearly 30 years after the founding of Kwanzaa, Karenga discusses how the rituals and messages of the holiday have sustained their significance for the black community. Boston Local News Project Funded! Happy Holidays! Santa came early to the WGBH Media Library and Archives: we’ve been selected for a grant from the Council on Library and Information Resources “Cataloging Hidden Special Collections and Archives” Program to fund our Boston Local News Project! This project, also funded by the Institute for Museum and Library Services, will be able to officially launch in 2011. The project, a partnership with the Boston Public Library, Northeast Historic Film, and Cambridge Community Television, will make a catalog of 4 local television news collections available online. In addition, we will digitize 40 hours of material, selected by our users. These 4 collections (WHDH, WCVB, WGBH and CCTV) cover over 40 years of local Boston history as well as national stories. For progress to date on this project, see our intern’s posts on his important work this fall, and watch this space for more news from this important and exciting project!